Brian David Josephson, best known for his pioneering work on superconductivity and quantum tunnelling and awarded for the Nobel Prize in Physics in 1973 for his prediction of the Josephson effect. Josephson became interested in philosophy of mind in the late sixties and, in particular, in the mind–body problem, and is one of the few scientists to argue that parapsychological phenomena (telepathy, psychokinesis and other paranormal themes) may be real. Josephson became involved in the mid-seventies with a group of physicists associated with the Lawrence Berkeley Laboratory at the University of California, which used ideas from quantum physics, particularly Bell’s theorem and quantum entanglement, to explore issues such as action at a distance, clairvoyance, precognition, remote viewing and psychokinesis. Josephson has expressed support for the idea that water has a memory, since attending a conference at which French immunologist Jacques Benveniste first proposed it. He also supported the idea that cold fusion could work (original work of Martin Fleischmann). David Joseph Bohm was an American scientist who has been described as one of the most significant theoretical physicists of the 20th century and who contributed unorthodox ideas to quantum theory, neuropsychology and the philosophy of mind. He contributed to the Manhattan Project with his “scattering calculations (of collisions of protons and deuterons)”. Bohm was keenly aware of various ideas outside the scientific mainstream. In his book Science, Order and Creativity, Bohm referred to the views of various biologists on the evolution of the species, including Rupert Sheldrake. He also even knew the ideas of Wilhelm Reich. Contrary to many other scientists, Bohm did not a priori exclude the paranormal. Bohm temporarily even held Uri Geller’s bending of keys and spoons to be possible, prompting warning remarks by his colleague Basil Hiley that this might undermine the scientific credibility of their work in physics. Martin Gardner reported this in a Skeptical Inquirer article, and also critiqued the views of Krishnamurti, whom Bohm had encountered in 1959 and had many subsequent exchanges with. Gardner said that Bohm’s view of the interconnectedness of mind and matter (on one occasion summarized as “Even the electron is informed with a certain level of mind”) “flirted with panpsychism”. Rupert Sheldrake is an English author and he worked as a biochemist and cell biologist at Cambridge University from 1967 to 1973 and as principal plant physiologist at the International Crops Research Institute for the Semi-Arid Tropics until 1978. He investigated auxins, a class of phytohormones that plays a role in plant vascular cell differentiation, and published a number of papers related to the topic. Sheldrake proposed that through “morphic resonance”, various perceived phenomena, particularly biological ones, become more probable the more often they occur, and that biological growth and behaviour thus become guided into patterns laid down by previous similar events. As a result, he suggested, newly-acquired behaviours can be passed down to future generations (even nonlocal) − a biological proposition akin to the Lamarckian inheritance theory. In 1994, Sheldrake proposed a list of Seven Experiments That Could Change the World, subtitled “A do-it-yourself guide to revolutionary science”. He encouraged lay people to conduct research and argued that experiments similar to his own could be conducted with limited expense. Seven Experiments contained the seed of Sheldrake’s next book, Dogs That Know When Their Owners Are Coming Home (1999), which covered his research into proposed telepathy between humans and animals, particularly dogs. Sheldrake suggests that such interspecies telepathy is a real phenomenon and that morphic fields are responsible for it. 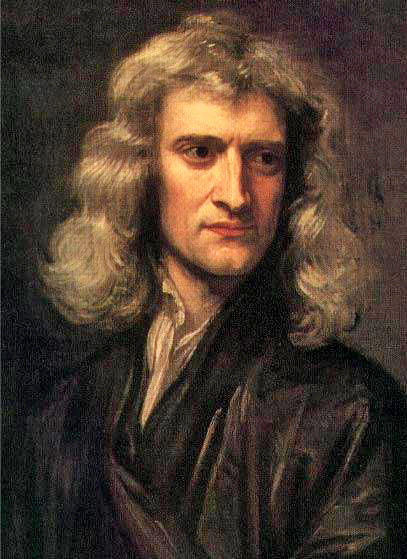 Sir Isaac Newton was an English physicist and mathematician (described in his own day as a “natural philosopher”) who is widely recognised as one of the most influential scientists of all time and a key figure in the scientific revolution. His book Philosophiæ Naturalis Principia Mathematica (“Mathematical Principles of Natural Philosophy”), first published in 1687, laid the foundations for classical mechanics. Newton made seminal contributions to optics, and he shares credit with Gottfried Wilhelm Leibniz for the development of calculus. Of an estimated ten million words of writing in Newton’s papers, about one million deal with alchemy. Many of Newton’s writings on alchemy are copies of other manuscripts, with his own annotations. Alchemical texts mix artisanal knowledge with philosophical speculation, often hidden behind layers of wordplay, allegory, and imagery to protect craft secrets. Some of the content contained in Newton’s papers could have been considered heretical by the church (yes!). 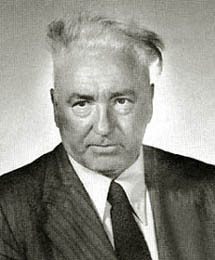 Wilhelm Reich was an Austrian psychoanalyst, a member of the second generation of analysts after Sigmund Freud. The author of several influential books, most notably Character Analysis (1933), The Mass Psychology of Fascism (1933) and The Sexual Revolution (1936), Reich became known as one of the most radical figures in the history of psychiatry. It was shortly after he arrived in New York in 1939 that Reich first said he had discovered a biological or cosmic energy, an extension of Freud’s idea of the libido. He called it “orgone energy” or “orgone radiation,” and the study of it “orgonomy.” In 1940 he began to build insulated Faraday cages, “orgone accumulators,” that he said would concentrate the orgone. The earliest boxes were for laboratory animals. The first human-sized, five-foot-tall box was built in December 1940, and set up in the basement of his house. Turner writes that it was made of plywood lined with rock wool and sheet iron, and had a chair inside and a small window. The boxes had multiple layers of these materials, which caused the orgone concentration inside the box to be three to five times stronger than in the air, Reich said.